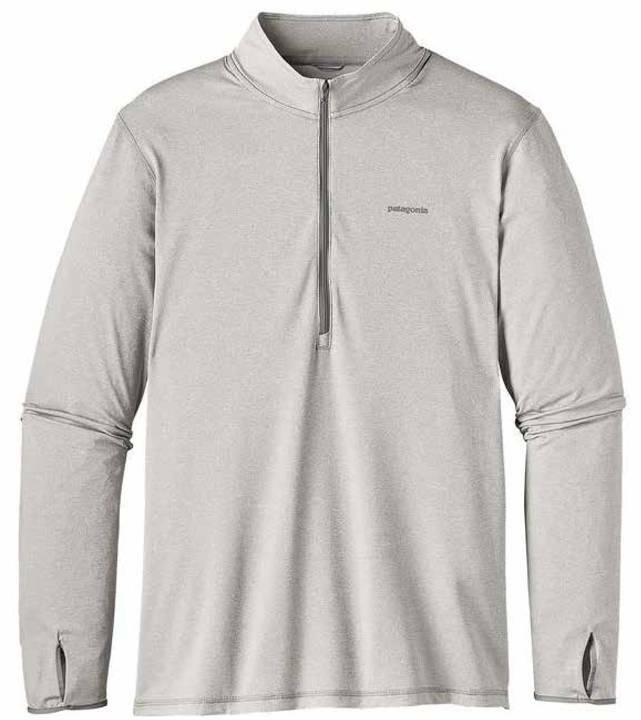 Patagonia MRFC Logo Tropic Comfort 1/4 Zip, Designed for fishing in hot and humid conditions, the 1/4-Zip lets the heat out with a deep-zippered neck for relief and temperature regulation. The ultralight 94% polyester/6% spandex stretch fabric provides 50+ UPF sun protection, wicks away perspiration and keeps things fresh with Polygiene® permanent odor control. Soft, cotton-like feel so you can stay cool and focus on fishing. 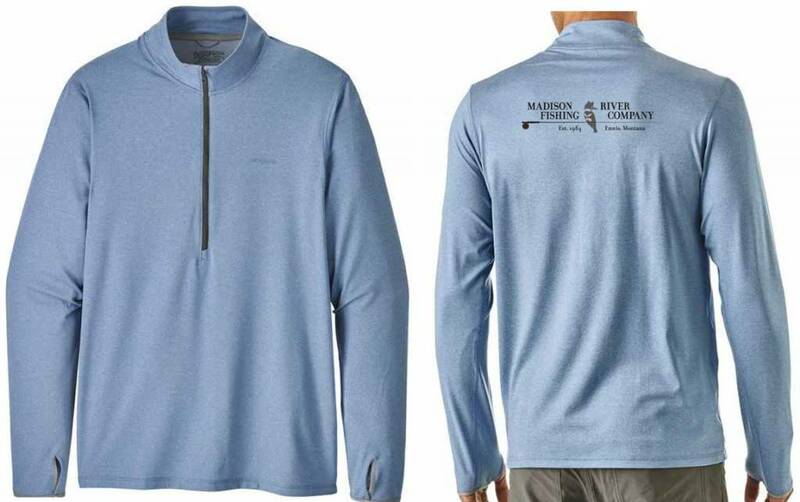 Long sleeves with thumb holes keep the backs of your hands covered, while the gusseted underarms allow freedom of movement for casting or reaching for the big high-five when that permit finally decides to eat. Fair Trade Certified™ sewn. Complete with the MRFC color logo on the back. Great shirt. Lightweight but warm enough for chilly days. This is one great sun shirt! It is light and comfortable.